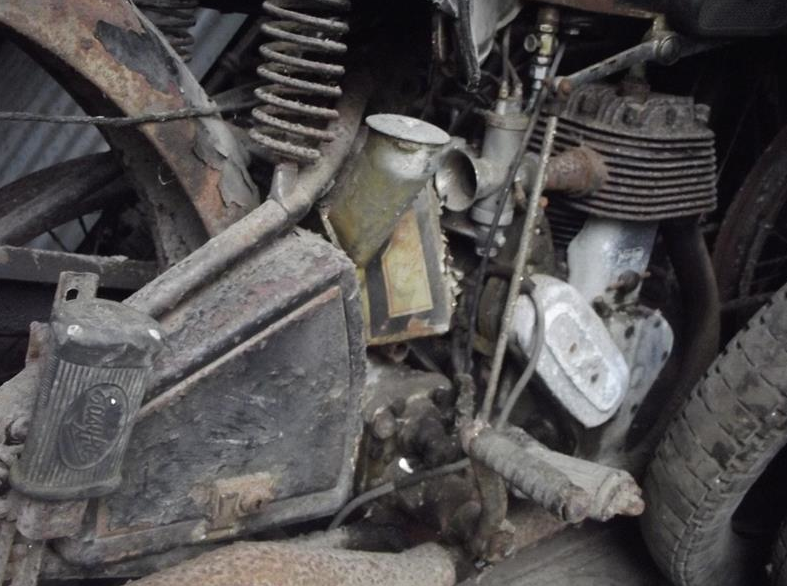 -JdK- SOLD For sale at Charterhouse and in their own words: "A 1932 Norton 16H, registration number DR 9735, frame number 45083, engine number 51966, silver and black, one owner and 15,000 from new. 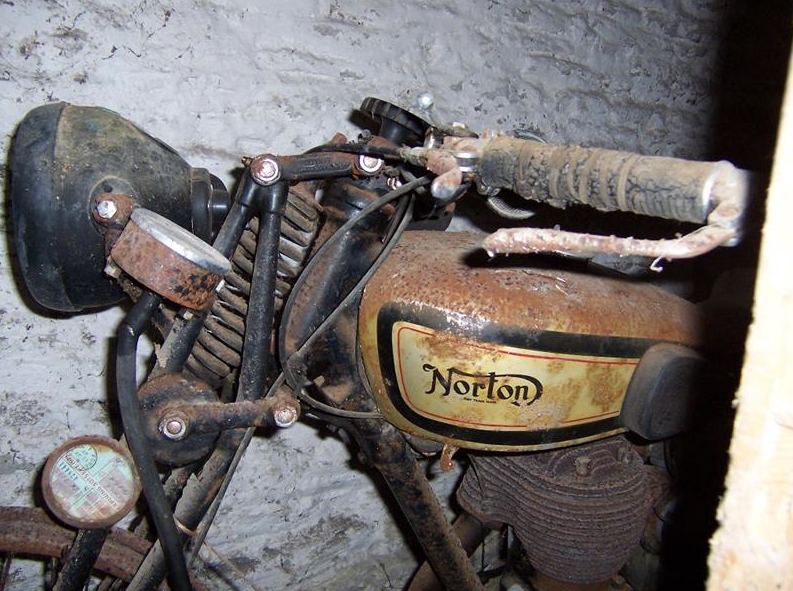 This Norton 16H restoration project is something rather special if not unique. DR9 735 has laid unmolested in a Cornish barn since 1939 undisturbed. 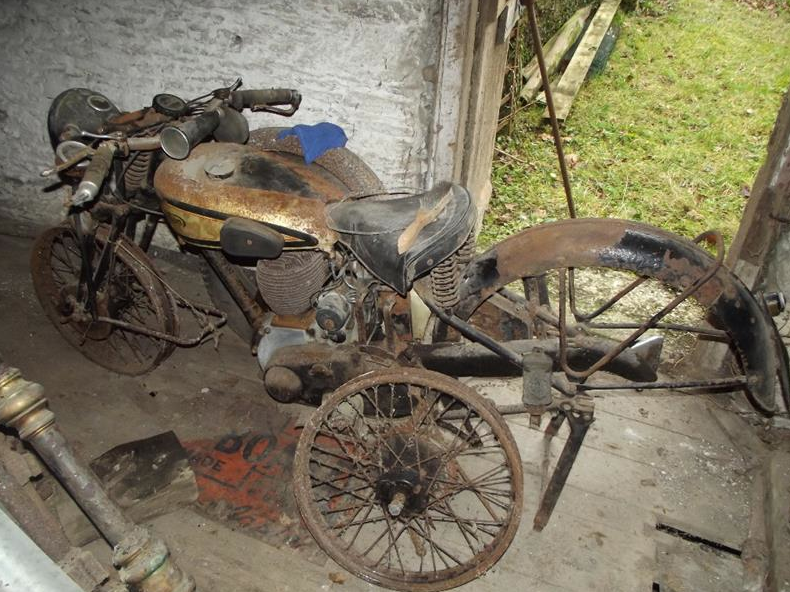 Mr Henry Wetter, a Cornish farmer purchased the Norton from AEN Snell, Snells Motorhouse, Old Town Street, Plymouth, on 6th February 1932 for £59 9/6 (original receipt on file). 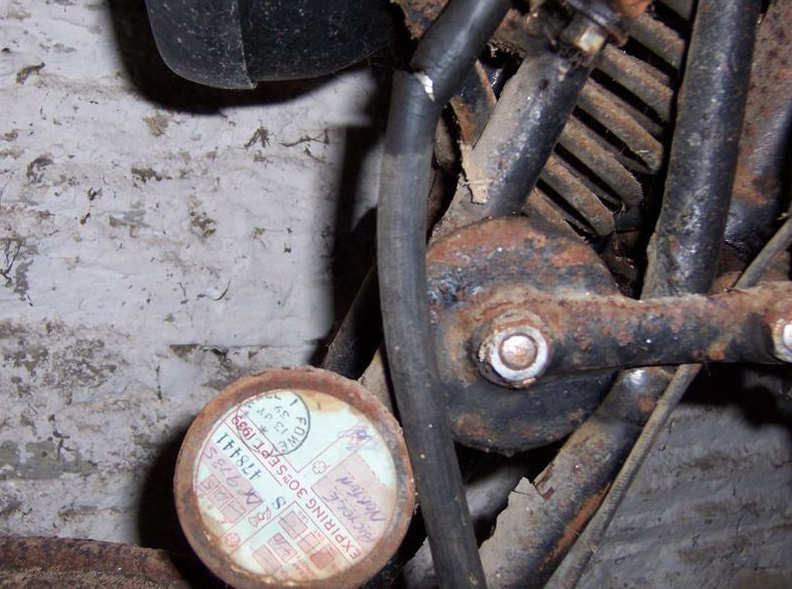 He would use the motorcycle until 1939 (last tax displayed on the motorcycle) clocking up 15,103 miles. It isn't known why Mr H Wetter didn't resume riding the Norton after the second world war, but he didn't! 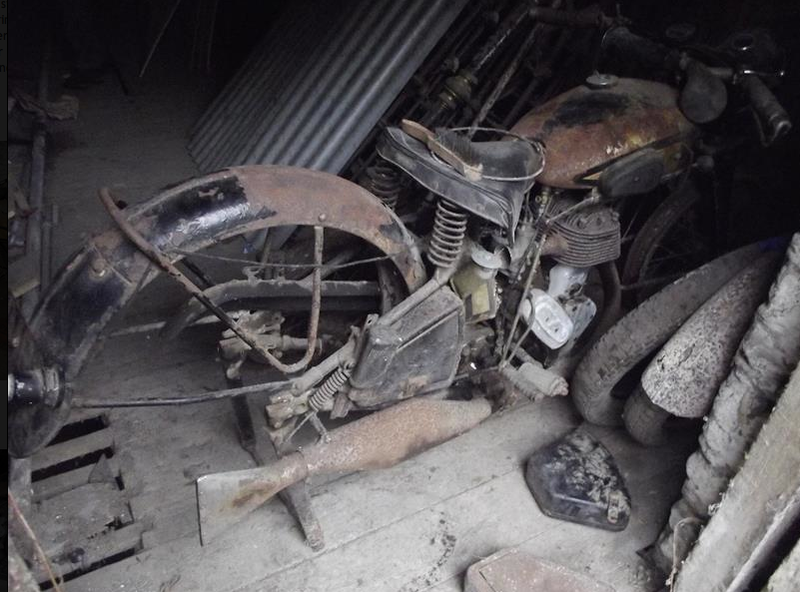 And family members can confirm that it has sat in the corner of the barn ever since. This history file contains three expired tax discs for 31st December 1932, 24th March 1935 and 31st December 1935, the original bill of sale, a letter from Norton Motor Ltd dated 7th November 1931 with a blueprint of the exhaust fitted to the Norton complies with Motors Cars Amendment Order (No. 11), an Automobile Association certificate of silencing efficiency, a letter from Snells apologising for overcharging Mr Wetter 10/- and informing him that a postal order would submitted to reimburse him and two insurance policies for 1932 and 1935."